DOWNLOAD – Magazine Advertising rates -and terms of acceptance – UPDATED 10th April 2019. Advertising in The Hockley Flyer (which is an A5 size publication) has several different sections including the usual Display adverts and Appointments, (new rates) plus Business Page ads, which are based on 6 and 12 month inclusive deals, plus the Classified lineage section. There are also Classifieds under certain categories such as private for sale ads which are free on-line only. Deadline is the 20th of the month preceding cover date e.g. 20th Jan for February issue. Our advertisements start at an 1/8 page and can go up to double page spreads depending on your requirements, either making a splash with a one off or long term advertising for 12 months or even longer, our prices are based on single to 12 insertions and copy can be changed if received in plenty of time for the next issue. Note it is the advertisers responsibility to send new advertising copy by the deadline for insertion. Due to demand we are continuing to sell front covers, especially to established advertisers with a good history with the magazine. The front cover is now only available occasionally for special occasions and the advert has to be something unique, subtle, and rather special, subject to availability, and may have to share other stuff on the cover. Even then a cover may be deemed inappropriate or unsuitable and we reserve the right to not accept it, in the interest of our other advertisers and readers. Classified advertisements can be easily ordered online. We have a new online ordering system that means you can place your advert directly onto this website if you have a PayPal account, plus PayPal can process other payment methods on your behalf. To go directly to the online automated Classified ordering system click here and follow the instructions. 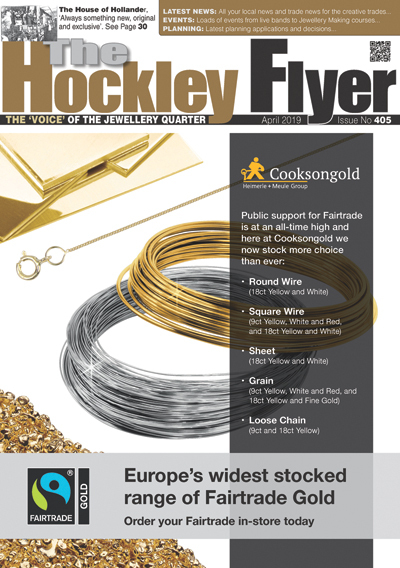 Classified Adverts start at £4.50 and appear on this web site plus in the very next issue of The Hockley Flyer. (Two insertions go on the site for 60 days and 2 issues of the magazine etc). For display advertisement rates click here. PDF files of press quality, images around 300dpi resolution preferably as CMYK. PDF files produced in Quark and InDesign from both PC and MAC platforms accepted. PDF files produced from Microsoft Publisher may give unexpected results not shown up on screen. We do NOT accept PDF files produced with CorelDRAW as the colour profiling is different giving poor results in the final printing stage (these are not apparent pre-press).